In 2016, Haier Group acquired GE Appliances, giving the company additional resources to innovate, grow and expand internationally. 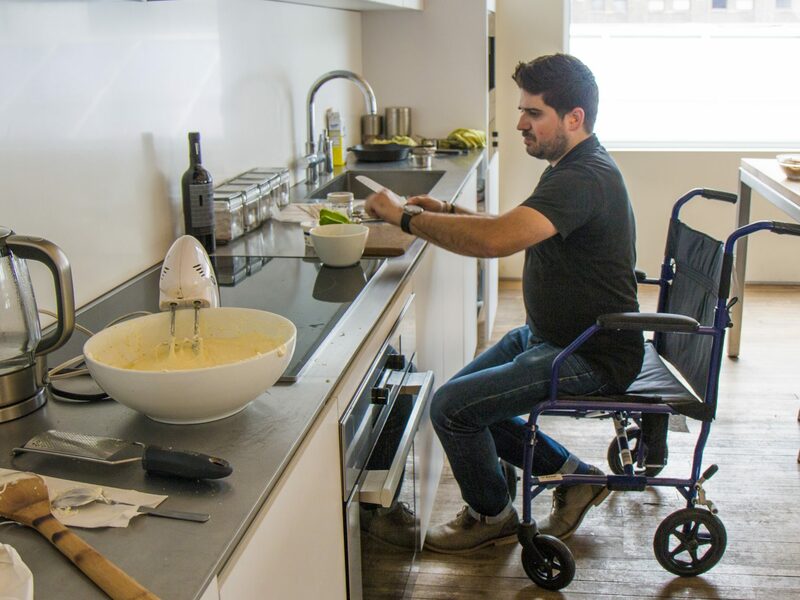 To propel that innovation forward, they engaged IA Collaborative to help them shape the future of more product lines not just designed for people with disabilities, but for ALL People. 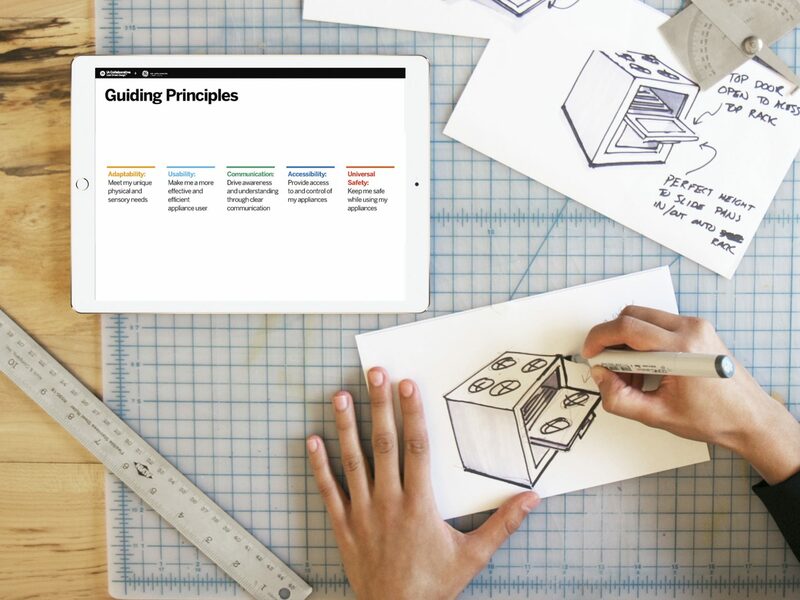 Combining an immersive research approach and industrial design prowess, IA created specific design directives to guide all Universal Design product development efforts at GE Appliances. Beyond this, we created beautiful, modern, intuitive and adaptable range and refrigerator concepts, features of which will be woven into future product releases. 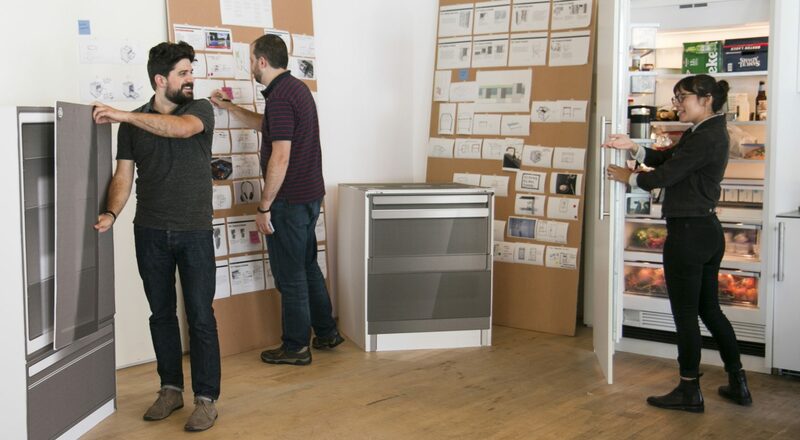 Leveraging insights from extensive, immersive research, IA infused universal design principles into the design of refrigerator and range concepts that will fuel future product programs and innovation pipelines across GE Appliances. The Mod refrigerator concept uses a modular platform to maximize adaptability and approachability in its design and ease of configuration. 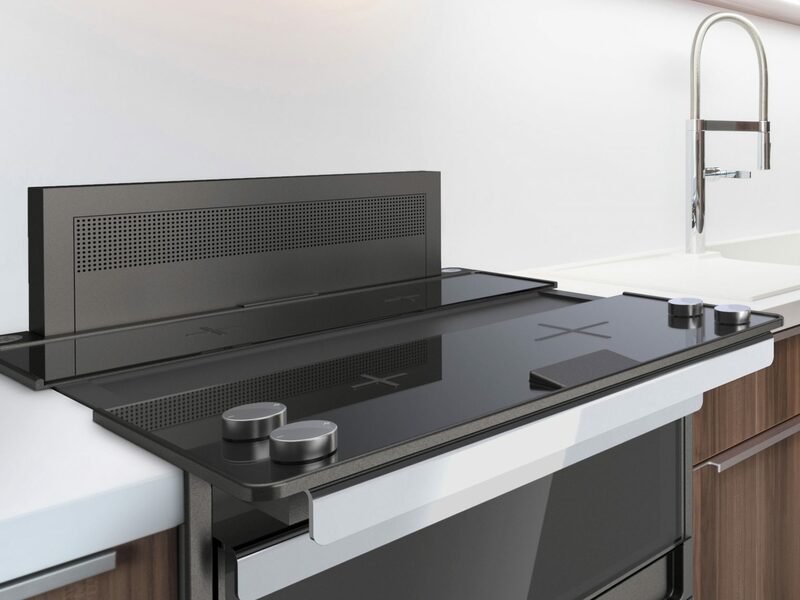 The Slide range maximizes accessibility and utility with a sliding induction cooktop, downdraft extraction and a changeable oven compartment. Materials and finishes on both The Mod refrigerator and the Slide range were meticulously selected to create a timeless aesthetic that effortlessly integrates into both traditional and contemporary kitchens. To truly design for the needs of all people, the team conducted extensive immersive research across a broad spectrum of ages, abilities and life stages. 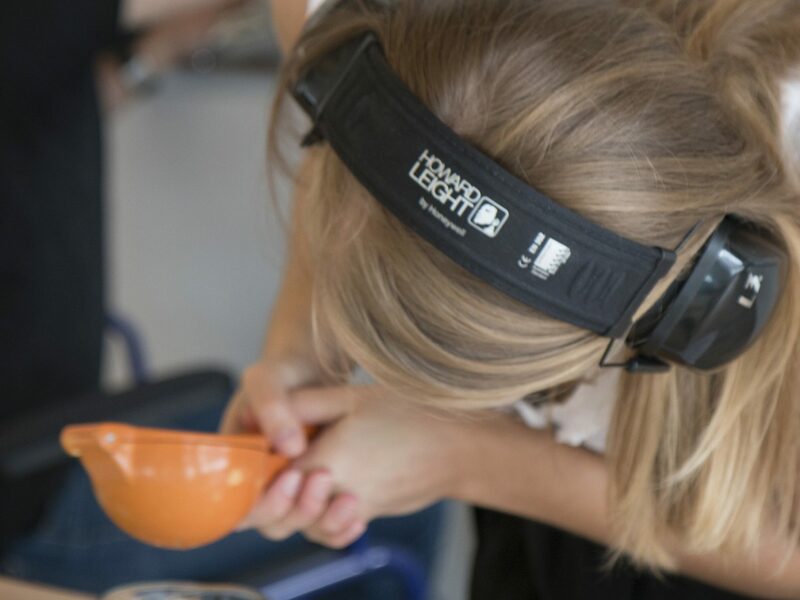 From visiting people's homes to observe their dinnertime routines to hosting team cooking immersions in our own kitchen, we lived and uncovered the challenges, preferences and unmet needs of our future customers.